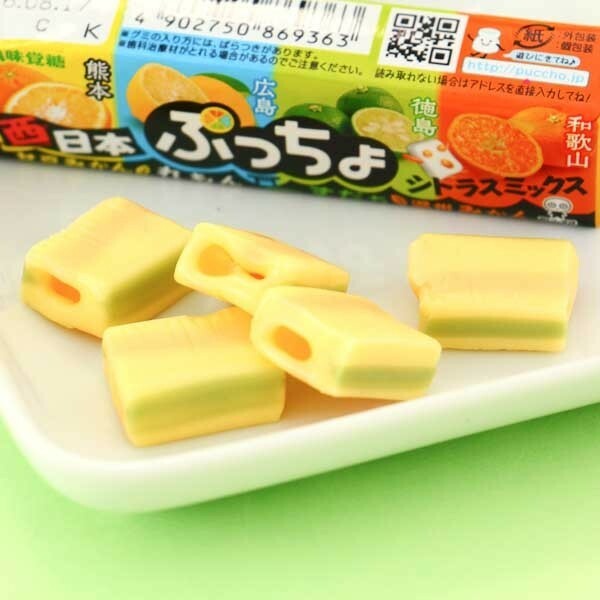 The secret behind the success of Puccho is that each of these soft and milky candies has chewy fruit gummy bits embedded in them. Thus, you can simultaneously enjoy the milky and chewy candy and the juicy gummy bits! This new Mixed fruity Puccho is a little bit different - each candy has a random fruit flavored chewy gummy piece inside of the yogurt! 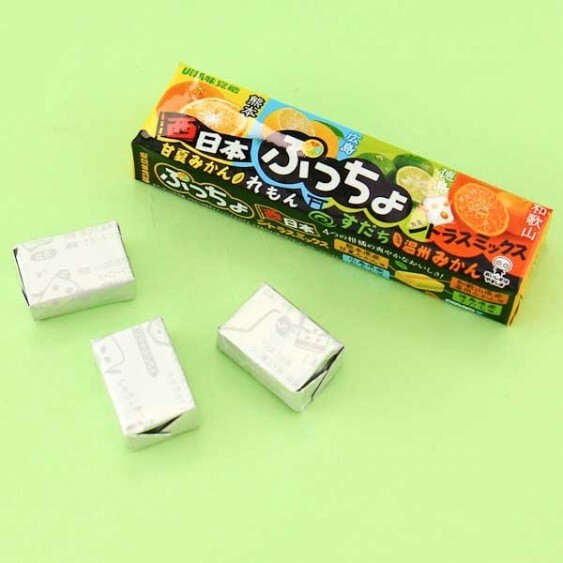 The flavors of the chewy pieces are two delicious oranges, sudachi lime or sour lemon! It's like you were eating rainbows! Try them all!